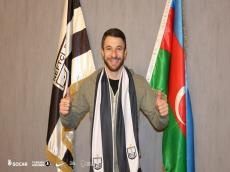 Neftchi has transferred a new forward. Report informs citing the official website of the program that a 1.5-year contract was signed with Italian striker Gianluca Sansone. The 31-year-old forward will wear the form No 16 in his new team.